After years went by she wasn’t using it. So it was brought to my sister’s farm in Wisconsin, where it sat for 8 to 10 years. 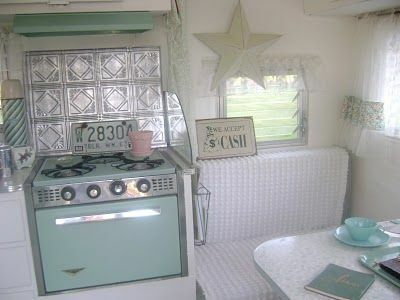 Everytime I would go to my sister’s I would see the camper in the farm yard, and felt sorry that it had been sitting all these years. So this year I told Regina it’s time to do something about the camper it has been sitting to long and what do you want to do with it? She has so many other things on her plate right now, that the camper was not one of them. On the back burnner, or not even in the picture. She said she wasn’t sure what to do with it and didn’t care. So I started thinking, after doing the doll house for JOJO, I thought I would enjoy doing a makeover on this camper. 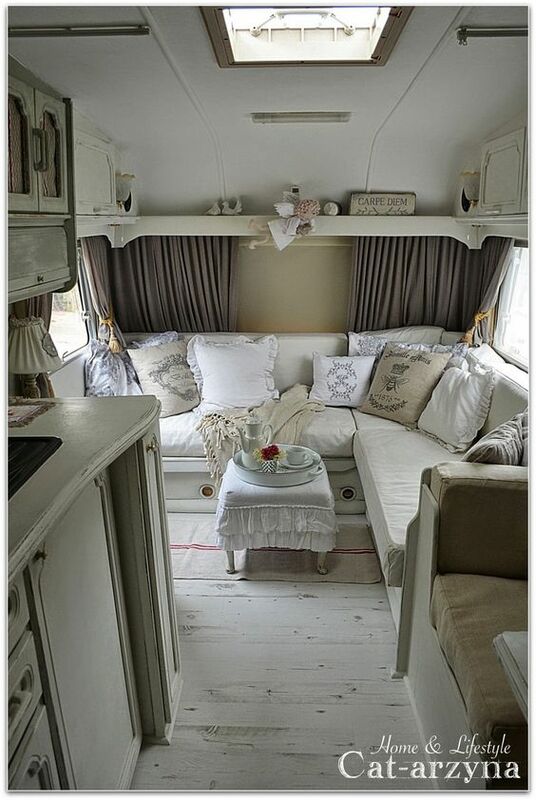 So I let Regina know that I am taking over the camper and giving it a makeover. I told my sister and brother-inlaw what I was going to beginning doing with the camper. Regina said, Good Lucky! 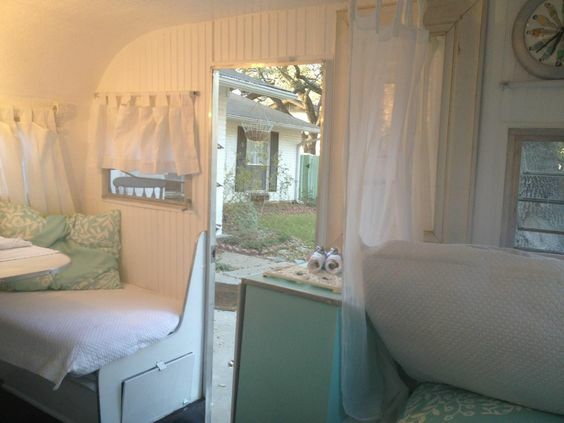 and Pam and Todd said that they were happy that someone is going to start using it because it really is a nice camper. It just needed some TLC. So my first weekend I went up to the farm outside of Sharon, Wis. where the camper is sitting in the sheep yard. 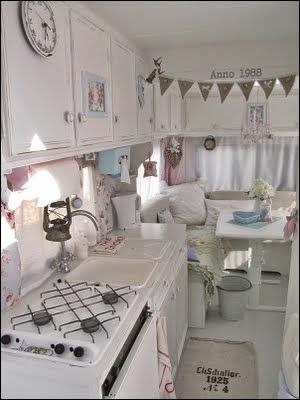 I opened the door and Regina had the camper packed with all her things from the past, pictures, candles, etc… and being on a farm the mice had gone and went threw everything and made nest where no man should go or would. Nothing could be saved at this point I just started loading up the truck, ended up having 2 truck loads of Regina’s past, sitting in my truck. Not sure what to do with it all, but later found out my brother-inlaw had a big dumpster at his other farm and was able to throw it all in it. Thank god not sure if I could have follow where to dump this junk. After cleaning out the camper I took a bucket of water and started cleaning the whole camper. I needed tools so my sister Leslie and Connie came to help me out for awhile. Thank you Leslie for bring me tools. I will give them back when I am done. Thank you sister’s for coming to help and Leslie thanks for the tools! The Camper was in to sheep yard! I worked from 10 to 5 and gave it everything I had. But when 5 o’clock came around, and no one was at the farm I went over to the other farm and had pizza and beer with the family. I needed that beer. Saw the dumpster and dumped the junk. What a day. It was hard work. What is Great about this farm is that it is way off the road, so you can’t here anything, so peaceful. I LOVE going up to the farm on the weekends. So I worked on the camper on a Friday and helped on the farm Saturday. They always need a helping hand. the next Friday I went up and started washing the walls and floors with some more powerful stuff. I want this place in tip top share before I start painting. we laught so hard we fell out of the canoe. So much FUN! Went back to my sister’s Leslie house and cooked steak on the grill, what a great day it was. 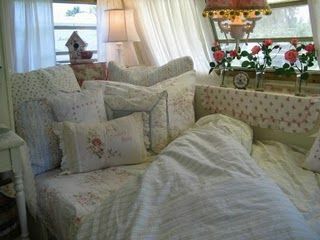 I went back to the camper and started cleaning, got most of it done but not the bathroom, I will, I just have a lot to do. Than again my sister and brother -inlaw needed help on the farm so Saturday we worked and plant pumpkins all over the farm. Friday, first I caught up with Connie again and went canoeing, we have so much fun on the water, plus it is so Beautiful, unless you try it you would have no clue what it is like, just so Beautiful, the view. Saturday when helping out at the farm my brother-inlaw pulled the camper to another yard where there is water and electic. This will make my job easyer now, and I will be able to get a lot more done. Thank you Todd! I forgot Pam and I painted the table a chalk paint something we saw on Pinterest, if we don’t like it I am sure we can take it off. Well not sure when I go up I will get to work on the camper this weekend, my sister Pam said we are taking a vacation day! She has been looking for a puppy and I think she found one so this weekend we will pick up her new puppy, she needs a dog to watch over the sheep. Well I will let you know if I will have time this week to work on the camper. Until next time. 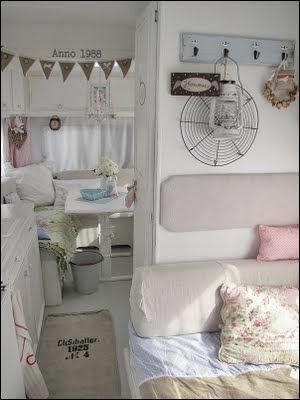 Part One of The Camper Makeover!